February 16, 2017 – The 2017 International Sir Georg Solti Conducting Competition included 300 applicants from 58 countries. 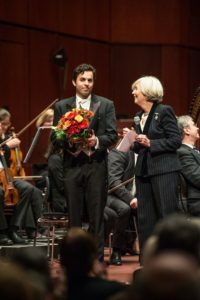 Maestro Khudyev won the 3rd prize and conducted the performance with the Frankfurt Radio Symphony Orchestra at the historical Alte Oper Frankfurt Große Saal (Old Frankfurt Opera Grand Hall). 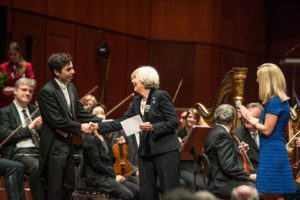 The judges were conductors and educators around the world including the Vice President of Artistic Planning of Philadelphia Orchestra and Lady Valerie Solti, the wife of the legendary conductor Sir Georg Solti.